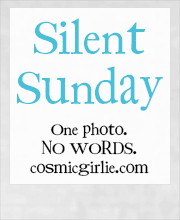 This entry was posted in Lake Pictures, Silent Sunday on February 22, 2014 by Lou. Amazing atmospheric – and stormy – shot! Wow, that looks stormy. You can relate to all your blogging friends back home with that one! This looks rather stormy, and a slightly perilous place to take a picture (mind the waves!). Nice pic. Stunning shot, as usual. Love the movement in this one. Love the splashes. Very atmospheric! This is a beautiful picture. Congratulations! Thats a change from the snow and frost! Is it snowing there? It is a lovely, moody photo though. I like that everything is melting! Wow. This is such a moody scene. I love it. Perfect in black and white. I love that picture. It’s nice to be warm and indoors when it’s stormy. Looks like your weather has changed to stormy. Maybe it’s less cold? Great moody picture. Very atmospheric picture. Beautiful too. Super moody shot….the B & W really makes it look dramatic. Nice shot! Lots of interesting details. Every time you look at it, you see something new.